“There were no black people in my son’s elementary school, and he got dreads. I told him if the kids teased him, to go to the office and tell the nurse he was sick so he could phone me to come pick him up. Well, the whole day went by, I got no phone call, so when he got home I asked him how his day went. He said everyone made fun of him, called him a girl. From Jennifer in Vancouver, commenting on a Knotty Boy Facebook post about dreadlock discrimination in schools. A little inspiration to keep fighting the good fight, from the strength and self-awareness of a 7 year old. Clearly his mama raised this cutie well! Got a story about overcoming discrimination against dreadlocks? Tell us! Email your own photos and stories to blog@knottyboy.com and we’ll share them with the rest of the Knotty family, to help affirm the decisions we’ve made or are thinking of making. We are knot alone! My five year old daughter always had a huge sleeping matt/dread so I figured we would just section off her hair and lock it up as a style. (Like go with the flow!) Being that we live in a predominately conservative neighborhood, I noticed the “looks” she got from parents around school as well as comments from other kids (no discretion whatsoever!) But she insisted that she loved them. I think in other areas of her life, aside from school, she is enjoying the uniqueness it adds to her self. It is part of her that makes her special and stand out. She is totally a dread-baby! 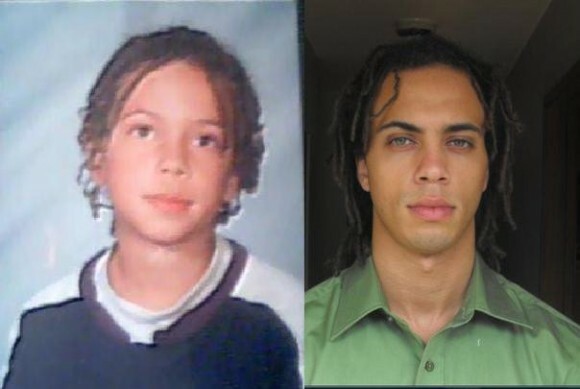 When i was 14 yrs old i had had dreads for about a year and it was my first year in high school. Every few days, on my walk home from school, i would be followed by two older, bigger kids. The bigger of the two would constantly spit out remarks about my dreads, from ” oh look its a girl, to “looks like my cat puked all over his head.” i just pretended they werent there and could tell that that bothered him. Eventually they stopped.. I even had a pickup truck full of what i took to be construction workers that’d yell out the window routinly on their eay by. One time they even threw a coffee at me while i was walking. I went on to keep them for about another year n a bit, when i cut them off by my own choice. Now that im older and i know how things work, i know that the reason that guy picked on me was because he was overweight, was picked on himself and was insecure, feeling the need to bring me down to make himself feel better. I dont have any resentment towards him now, tho my 14-15 yr old self was thinking of ways to kill him.. Lol Be proud to be you! Do what you beleive in and let no one tell you it isnt possible… One love! I’m a thirty-three year old criminal-defense paralegal (as well as freelance model, “Exotika”). My entire life I’ve been a strong advocate for professionals exercising self-expression in the workplace, i.e., tattoos, piercings, etc., having 13 piercings myself, as well as two (2) prominently displayed tattoos on each of my middle fingers. Now, I’ve decided to push the envelope yet again and introduce dreadlocks to the small, “close-minded” community of Shelbyville, Tennessee. ← Learn to lock like we do in breathtaking Vancouver, Canada!